Oh my. 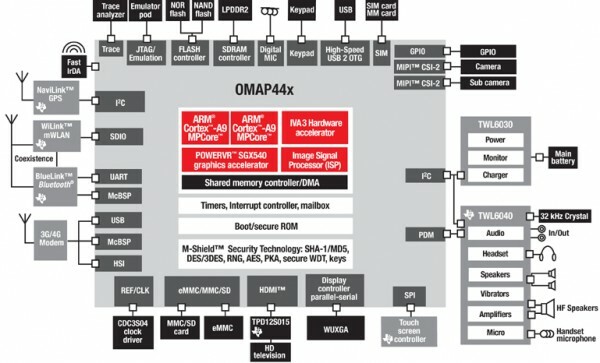 Texas Instruments just announced their new dual-core OMAP4440 processor that can be clocked at 1.5GHz (possibly both cores), supports 1080P 3D video, and can run front and back (dual) 12MP cameras working at the same time. It will also provide 1.25x increase in graphics performance, a 30 percent decrease in webpage load time, and a 2x increase in 1080p video playback performance. Holy…yeah. The processor is obviously aimed at mobile devices and will start rolling out to manufacturers for testing in the first half of 2011. Just try to take a minute and think about that kind of power. Mind blown? We also all know that Motorola tends to favor TI OMAP processors over any other meaning our future Droid brothers will most certainly see these inside. More info at the source link below.